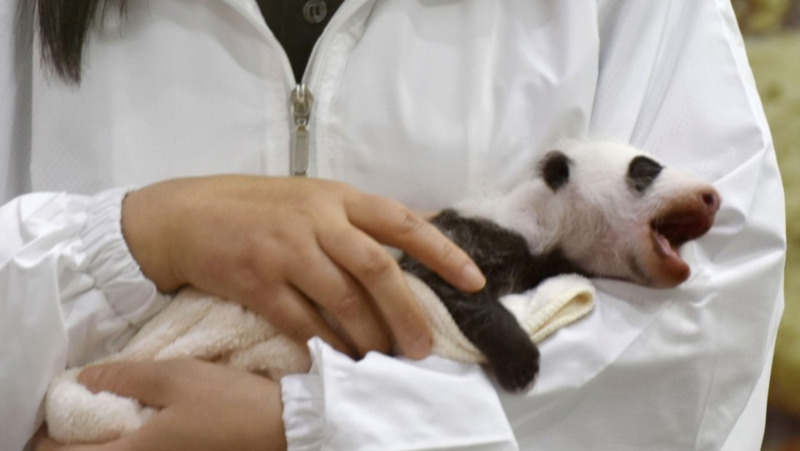 A zoo in western Japan on Thursday put on public display for the first time its month-old female giant panda cub. The cub, which is yet to be named, is the first in about two years to be born at Adventure World zoo in Shirahama, Wakayama Prefecture. As the curtain obscuring the glass enclosure was drawn back, the cub and its mother, 17-year-old Rauhin, were greeted by a cheering crowd, snapping photos with their smartphones. "She is so cute," gushed 2-year-old Masashi Nakashima. The child's mother, a 27-year-old dental hygienist, said, "I was worried at first because she was so small but I am happy to see how much she has grown." 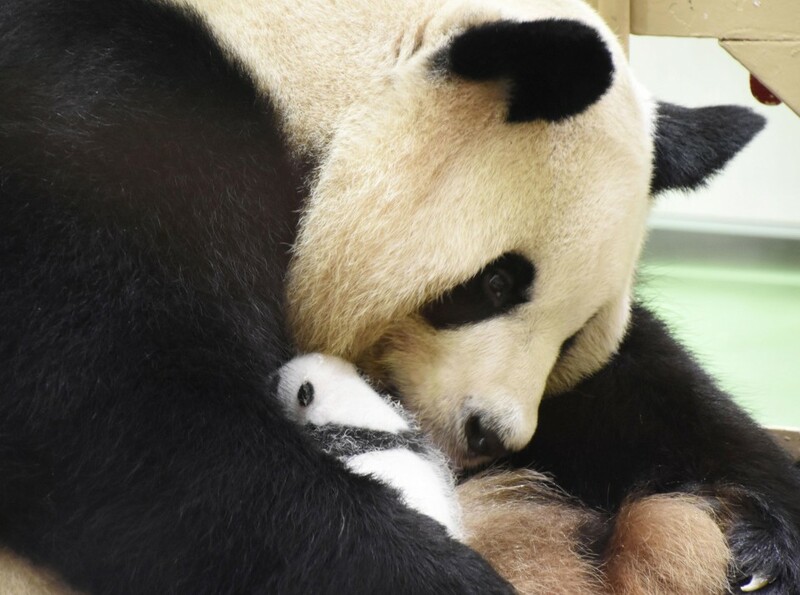 She hoped that the cub will become "just as popular as Xiang Xiang," the star giant panda cub at the Ueno zoo in Tokyo. The cub initially required around-the-clock care because it was too weak to drink from its mother's teat. It has now almost doubled in length to 32.5 centimeters and weighs 731 grams. It has grown more fur as compared to previous images released by the zoo and its body temperature has stabilized. Groups of the public can observe the cub for 20 minutes at a time from 10:15 a.m. and 2:40 p.m., although the cub may be taken off display depending on its energy level. The zoo is taking suggestions for the cub's name from the public on the internet until Nov. 16.